Another month has gone by (I know, time is flying) and it’s time for another interview with a local Great Taste Award winner. This month, I spoke to Julianne Ponan, owner of Creative Nature, about their foodie success. Don’t forget to check out my interviews with Barties Sussex Faire and Ouse Valley Foods if you’re curious about what goes on behind the scenes at award winning food businesses! Which of your products received a Great Taste Award this year? Our cold-pressed superfood Bar ‘Blissful Berry’ won the prestigious 2 stars at the Great Taste Awards, putting us in the top 7% of all 10,000 entrants. What makes your bars a cut above the rest? Our unique blend of flavours including our own distinctive antioxidant rich goji berries for our superfood range. We also have higher moisture and fruit content than most other cold pressed bars (you tend to find companies overloading their bars with dates, nuts/nut butters or syrups/additives). We also tick all the boxes for Dairy, Soy, Wheat and GM Free, Vegan, Low Gluten and superfood packed. So what’s a day in the life at Creative Nature? With only 2 employees at the company, our days (including weekends) are non-stop. Before we’ve even got to the office we’ve had a superfood laden porridge to make sure were fully energised for the day’s activities. First thing is replying to emails, contacting buyers, and printing of the days orders, then Matthew pops out to the warehouse to pack up everyones deliveries, whilst I remain in the office dealing with numerous clients and finance activities. Then everything else associated with a small business, marketing, PR, social media, customer service, show preps, sampling is squeezed in as and when we get a chance. Tell me the story of Creative Nature.. I finished Uni, and I was working in Investment Banking in Beijing. After coming back my journey started with Creative Nature as I bought into the company and became owner at the age of only 22, I changed the focus of the business with a clear direction on the superfood range. We then formulated our Superfood Snack Bars as I wanted something that was quick and easy to eat for the consumer but also had all of the nutritional benefits of our superfood range of powders and wholefoods. As I have allergies to Nuts and many Additives, it was quite a passion that our superfoods and snack bars did not contain any and were 100% natural. Our journey so far has been incredible and the feeling of seeing our products on shelf is just overwhelming. We are now available in Ocado, Selected Tesco’s Revital, Giraffe Stops, Nutricentre and many independent retailers. What’s next for Creative Nature after the big win? Since the big win of Great Taste we have been featured in boxes such as The Vegan Kind and are using our award to showcase why our bars are the best out there. We have also just started to export to Sweden and Poland and we hope this continues to grow in the future with larger listings. We are also hoping to increase our online sales on www.creativenaturesuperfoods.com with the refurbish of our website coming into play for Christmas. Since winning the award we have also just won Regional Chambers Award for Small business of the Year 2014, the finals will be held in November. 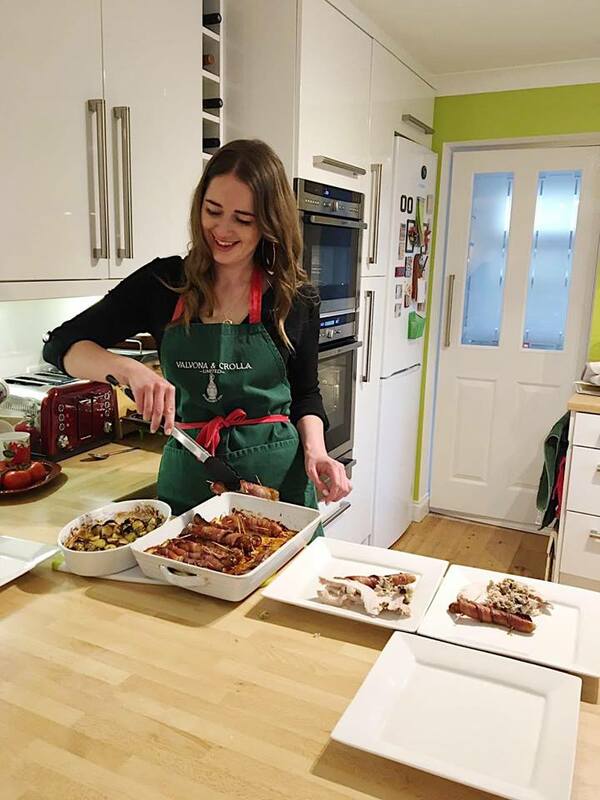 Learn more about Creative Nature..
Make sure you’re following Creative Nature on Twitter, and check out their website to get your hands on some bars and have a go at some of their recipes!